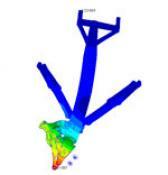 Patran enables access to geometry from leading CAD systems for creating finite element models. 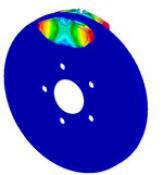 Support for many industry-standard geometry exchange formats is also provided. 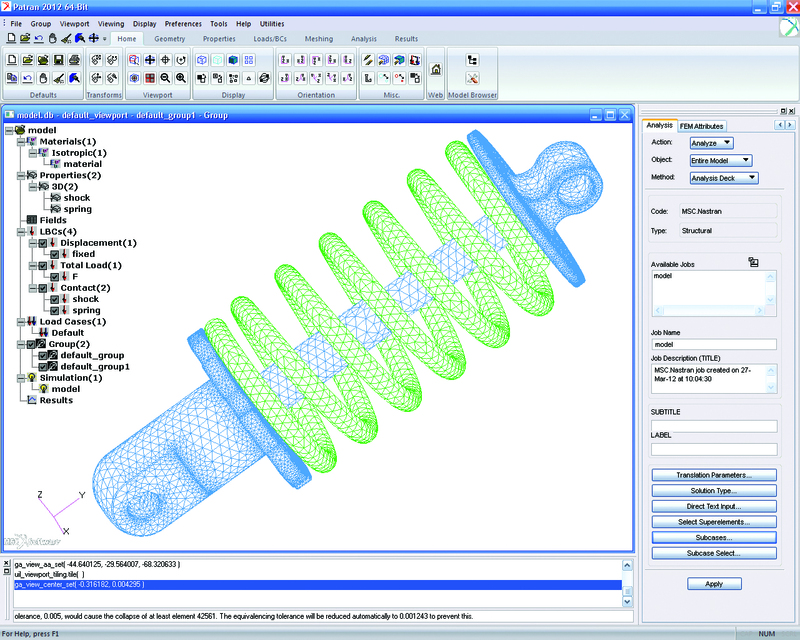 An option is also available for direct import from and export into Parasolid format supported by several CAD systems. All finite elements, loads, boundary conditions, and material properties can be associated to the geometry. 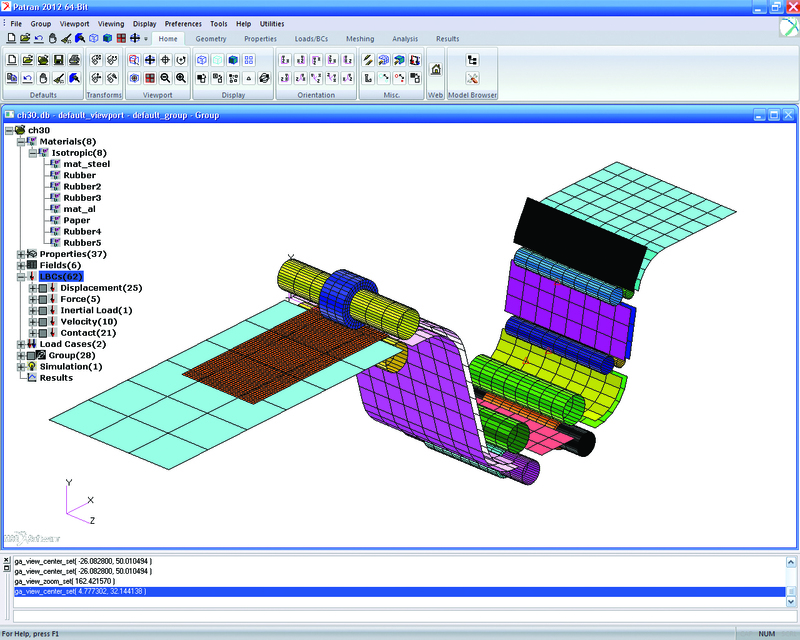 Patran contains an advanced set of geometry creation tools in addition to the direct CAD access capabilities for generating finite element model geometry. Patran also has a sophisticated feature recognition capability that allows users to delete or edit holes, fillets, and chamfers. 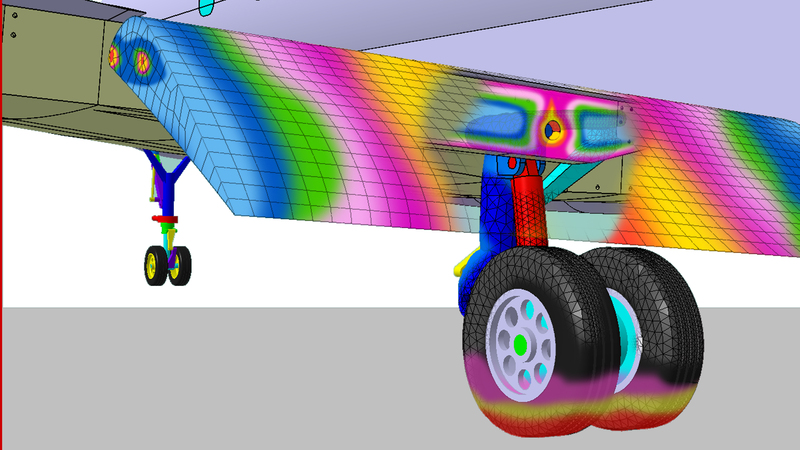 For 3D solid geometry, existing meshes and loads will be automatically re-applied to the model after a change is made to the geometry. 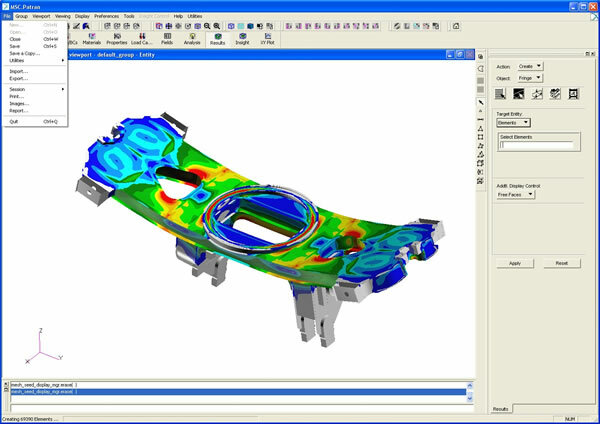 Patran is tailored to support both MSC Nastran and MD Nastran to enable the use of common finite element models and perform advanced engineering analysis and enhance designs using Nastran’s Design Optimization and Topology Optimization capabilities. 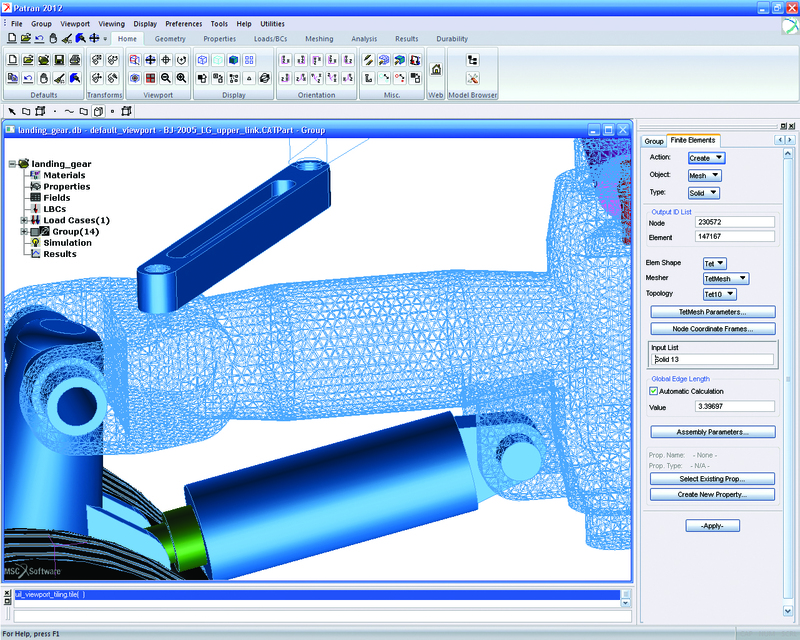 In addition to MSC Nastran, Patran also supports the other solvers developed by MSC (Marc, Dytran, and MSC Sinda) and also solvers like Abaqus, Ansys, LS-Dyna and Pamcrash, enabling you to stay in a single graphical user environment even if you have to use multiple solvers for various analyses. 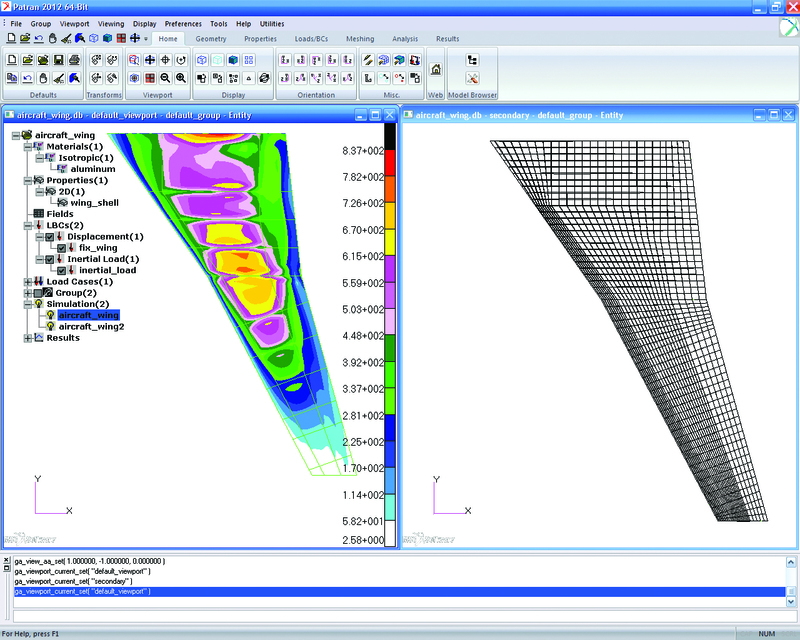 Patran displays results for structural, thermal, fatigue, fluid, magnetic analyses, or in relation to any other application where the resultant values are associated with their respective finite elements or nodes. 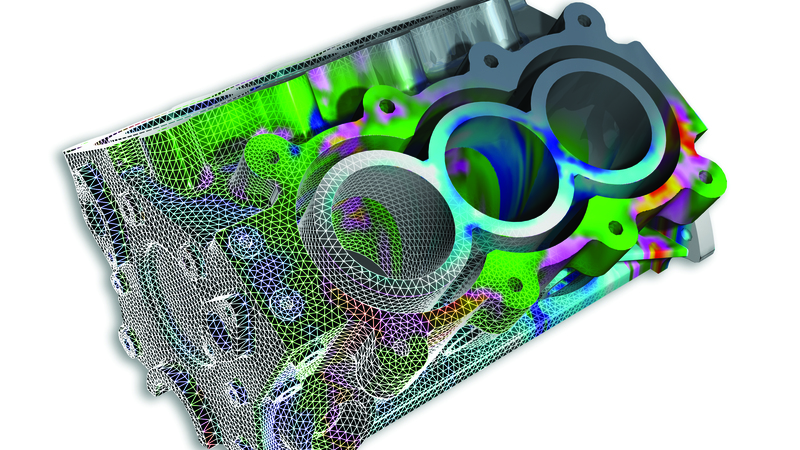 Imaging encompasses the complete graphics capability found within the Patran product, including graphic shading and visual verification prior to analysis. 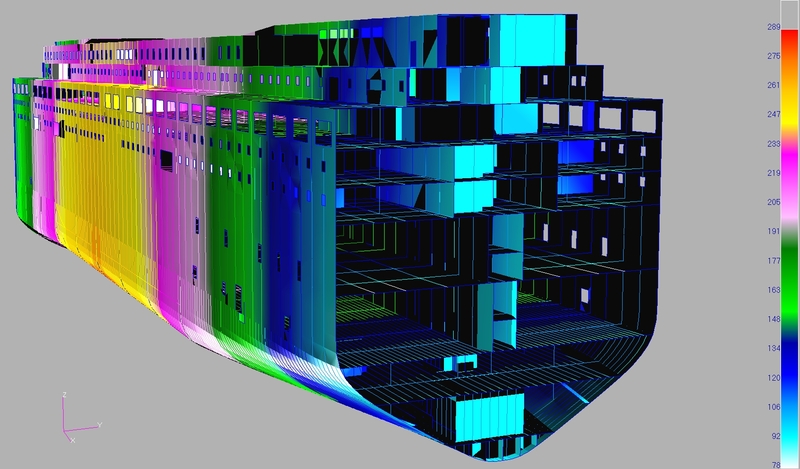 Imaging features a number of options that take advantage of specialized hardware capabilities, including local view manipulation, local shading, multiple light sources, and transparency. You can also export images and movies in many standard formats to include in documents and web-based reporting. Patran Command Language (PCL) is the programming language at the heart of Patran. PCL is a high-level, block-structured language that provides many features found in traditional programming languages. It can be used to write application or site-specific commands and menus, perform variational modeling, and to more completely integrate with commercial or in-house software programs. Patran - What's New 2013?